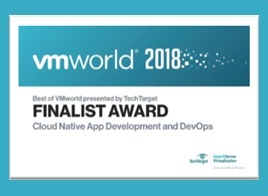 August saw Quali win the “Best of VMworld” finalist award for the third year in a row delivering a differentiated offering in a crowded industry. We also strengthened our go-to-market partnership with public cloud providers with both Microsoft and Amazon Web Services, even as other cloud providers continue to build momentum. Our latest Release 9.0 became generally available bringing new features that allow saving and restoration of environments (a much-requested customer feature) as well as the ability to support different cloud providers paving the way for true multi-cloud environments. Dig into the resources below! [Video] Quali #VMworld 2018 - VMblog Interviews Dos Dosanjh – VMblog visits the Quali booth during VMworld 2018 in Las Vegas to find out more about DevOps Automation and CloudShell 9.0. watch Dos Dosanjh, Director of Technical Marketing, interview. [Video] Quali Presents at Tech Field Day Extra at VMworld US 2018 – Watch Roni Dover, Director, Technology at Quali, provides a demo of Quali CloudShell platform and Q&As. 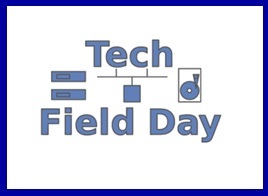 [Video] Quali Presents at Tech Field Day Extra at VMworld US 2018 – Watch Roni Dover introduces CloudShell platform. This was built with DevOps culture in mind and offers self-service EAAS. [Video] Quali Presents at Tech Field Day Extra at VMworld US 2018 – Watch Shashi Kiran, CMO, introduces Quali to the delegates. Shashi touches on Quali's market, with an overview of Quali solutions, customers, and potential use-cases. [Solution brief] Accelerating Sales Demos and POCs with Environments-as-a-Service 2018 – Learn how Quali CloudShell Software gives your sales teams a sales cloud platform that will help them give more customer demos that are more effective - increasing your ability to sell while at the same time reducing demo and PoC infrastructure and cloud costs. 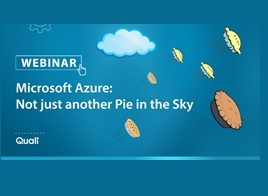 [Whitepaper] Building Self Service Demo Clouds with CloudShell – Run Your Demos on the Cloud, give more demos and PoCs, eliminate field equipment, improve effectiveness and gain measurable ROI in real time. [Datasheet] CloudShell Pro – Updated version with CloudShell 9.0 features. 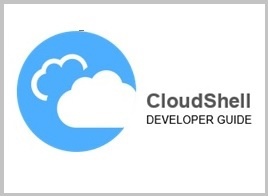 [Datasheet] CloudShell VE – Updated version with CloudShell 9.0 features. DevSecOps Environments Deployed Secure and Fast - “The DevOps team can ensure functionality and collaborate with SecOps to validate the security risk and posture. This collaboration enables a DevSecOps workflow that ensures performance bottlenecks are addressed with visibility into cloud workloads. Together this allows the DevSecOps team to deploy environments secure and fast” Dos Dosanjh, Technical Marketing Manager at Quali. Join Quali’s technical presentation, Pascal Joly’s industry technical presentation, topic: Scaling Test Automation with Environment-as-a-Service. Thursday, Oct 4th 1:30-2:30pm. visit our booth! Come and visit Quali’s booth where we will be showcasing CloudShell platform. TSI will be displaying and demonstrating Quali’s CloudShell products combined into a TSI solution with products from Lepton Systems, Ixia, Cypherpath, Tegile and ElasticBeam offering the leading edge LaaS, CRaaS, IaaS, PaaS and DevOps solutions for managing on-prim and Cloud infrastructure. Quali will be sponsoring Agile + DevOps East conference in Orlando. Join our presentation and visit our booth. combined into a TSI . Visit us!